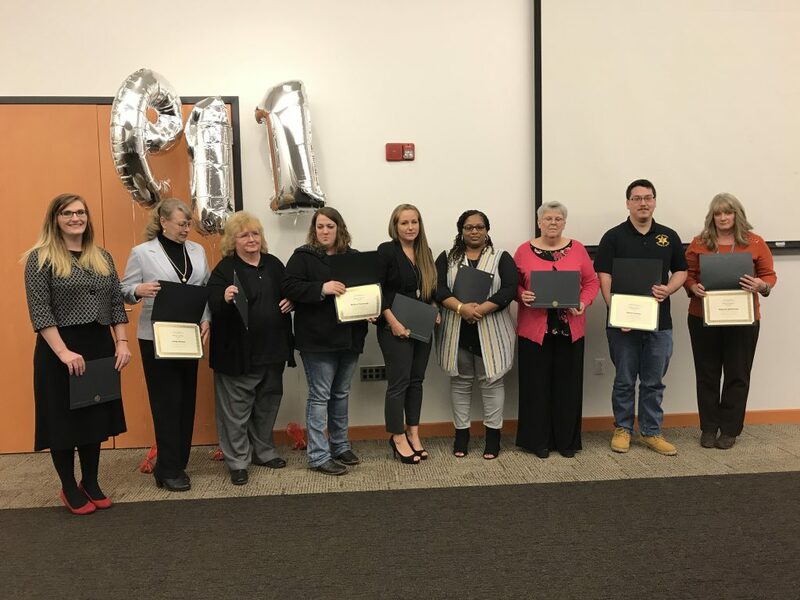 Poverty is becoming an issue of growing concern in Texoma as the Texoma Council of Governments, and other agencies, are seeing an increase in families below the poverty line in Grayson County. Even with jobless numbers improve, the number of residents in Grayson County who fall under the poverty line has increased. This comes despite a decrease across the state. The poverty rate across the state of Texas dipped to 14.7 percent, down from the previous year’s 15.6 percent, says a report by the U.S. Census Bureau. Grayson County, meanwhile, went from 12.5 percent in 2016 to 13.7 percent in 2017. Grayson County still remains lower than the state. Things are even worse for Hispanics. The percentage of Hispanic residents in Grayson County in poverty was 32.5 percent, compared to 22.5 percent for the state. The Salvation Army is one of the agencies in the county that provides assistance to people facing financial hardships. B.K. Schlesinger, social services director for the Salvation Army of Grayson County, said she has been getting an increase in residents seeking assistance. “We have had a good increase of people coming to the food bank. We are also dealing with more people needing help with utility payments,” Schlesinger said. Among those who fell under the poverty category, 2.2 percent had worked full-time the entire 12-month period in the report. The rate of those who were below poverty and had not worked full time the entire 12 months was 32.3 percent. Forty-five percent of those below the poverty line were classified as having not worked at all in Grayson County. The rate was 49 percent for the state. Schlesinger provided some insight into why poverty could be increasing despite a low unemployment rate. “While the jobless rate is very low, the jobs that are available are typically minimum wage jobs. Even at 40 hours a week, a minimum wage job will not pay for rent and utilities on a 1-bedroom apartment. That’s just not enough income. Our skilled labor force is doing really well. But if you are unskilled you are not going to be able to get the kind of job to have a comfortable living,” Schlesinger said. Children are especially susceptible to the effects of poverty, Schlesinger said. 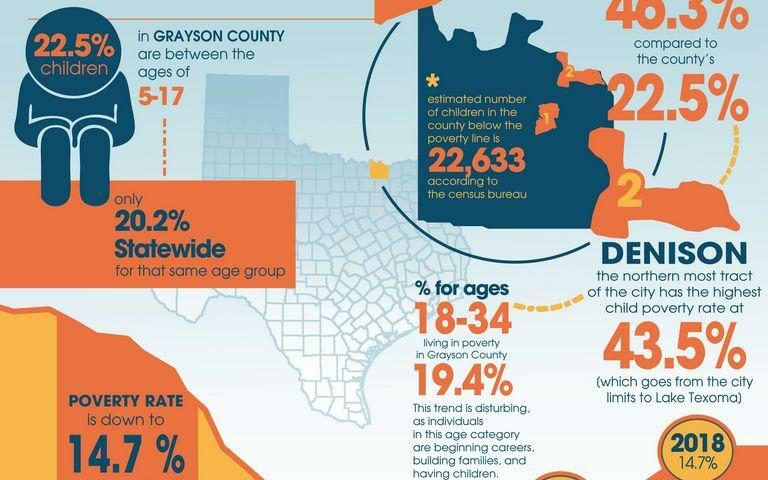 In Grayson County, the percentage of children in poverty was 22.5 percent for children between the ages of 5-17. That is a significant increase from 15.3 percent in 2016. Statewide that number is 20.2 percent for children in the same age group. The U.S. Census Bureau uses various factors such as family size and income level to determine if an individual is considered below the poverty line. “We are serving about the same number of children each year. I am concerned about making sure we have enough food from our food drive. For the first time ever, we have begun running short on things this year. We have had to supplement that food more than in the past,” Schlesinger said. 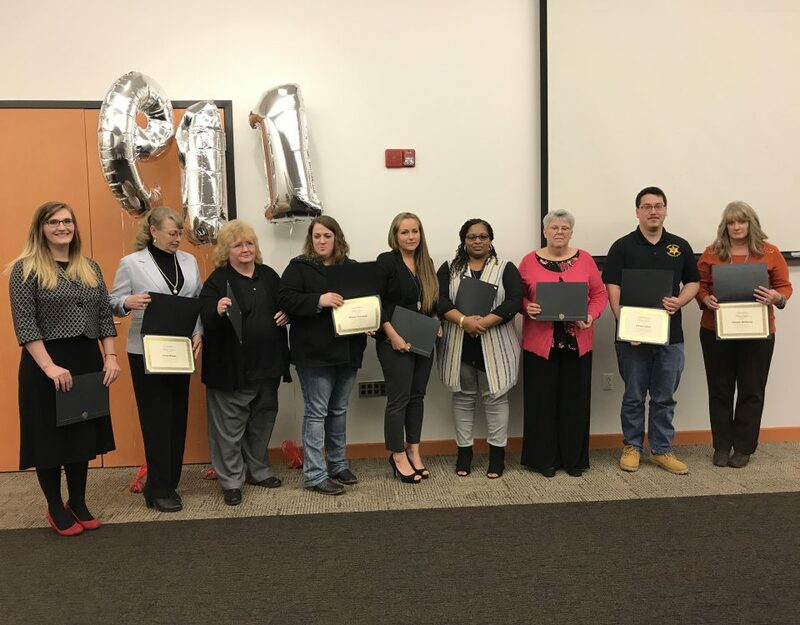 Annette Limoges, executive director for the Grayson County Shelter, said her agency is seeing an upward trend in families with children seeking assistance. “We have been totally full for nearly a year-and-a-half. The length of time they stay is what has increased. We tell people we are a 21-day facility. In 2017 our average stay was closer to 48 days. We have also seen more families with children than from the previous year, an increase of 15 additional families,” Limoges said. Limoges said the shelter has been at or near capacity for the last four years. She said the length people stay has increased in the last 18 months and is expected to follow the same trend into this year. For the first six months of 2018, those numbers were already higher than the previous year, suggesting things are still getting worse for some families. 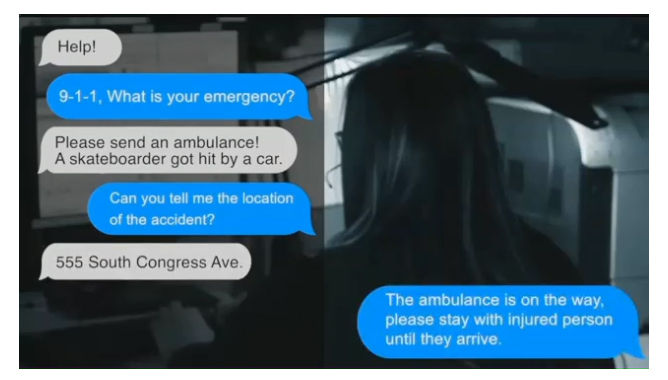 TCOG recently addressed many of these concerns in their 2019 to 2021 needs survey. In that report TCOG recognized the increase in children in poverty, calling it alarming. There were two census tracts in Grayson County that had even higher rates than the average. In Sherman, the region with the largest percentage of children in poverty lies on the easternmost side of the city. The poverty rate for children in that area was 46.3 percent, compared to the county’s 22.5 percent. 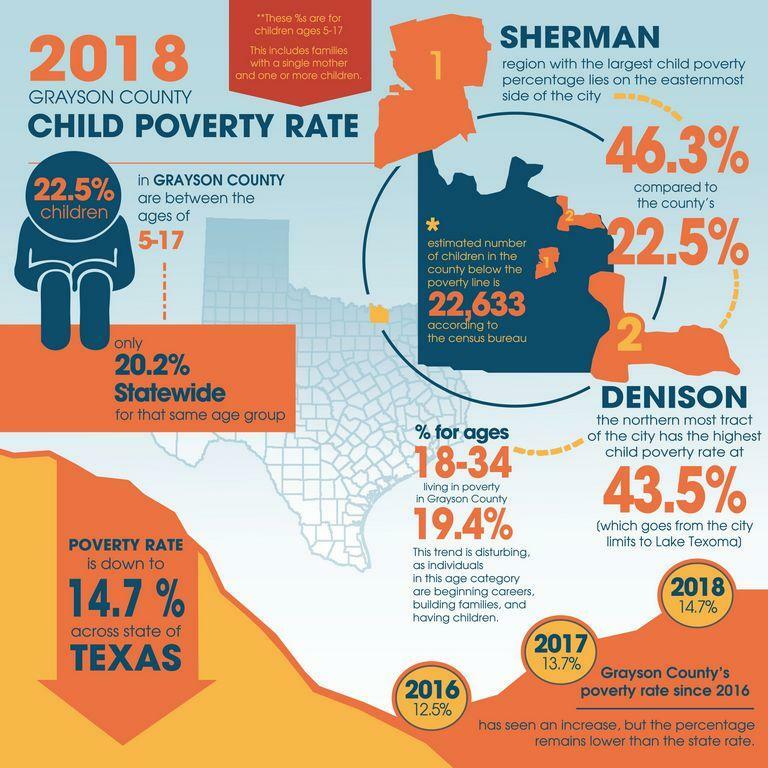 The northernmost tract in the Denison are, which goes from the city limits to Lake Texoma, has a poverty rate for children at 43.5 percent. The TCOG report indicated the number of children in poverty was higher among single mothers with multiple children, and especially higher for Hispanic families. The TCOG report says affordable housing is a major problem people below the poverty line. The number of available, affordable housing options for low-income families hasn’t kept up with demand, the report said. Specifically, TCOG believed better educated, upward mobile workers were moving into the county, increasing the demand for homes while also pushing up rental rates. Limoges said she has been having difficulty finding permanent homes for several of those staying at the shelter. Schlesinger echoed that sentiment saying the Salvation Army has been struggling to find affordable homes for a lot of the families seeking assistance due to a shortage of low-income housing in the county. According to the census data, the number of men in the 35 to 64 age group in poverty had increased from 10.5 percent in 2016 to 11.8 percent last year. This is also a reversal of the state’s downward trend, from 11.4 percent in 2016 to 10.7 percent last year. “Our largest number of homeless adults are men age 45-65; we are also seeing an increase in the 18-22 range who are homeless,” Schlesinger said. Right now, Limoges said the shelter has been seeing an increase of individuals from out of state, and the shelter is preparing to see more following the hurricane evacuations.